The streets of Bangkok city ( Thailand). 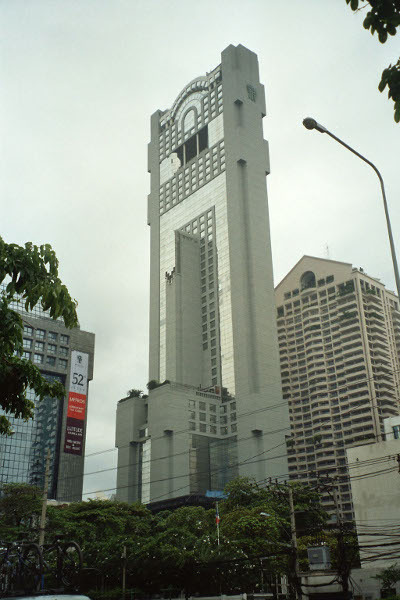 Canon Prima Super 105 Thanon Sathorn (Sathorn Street). 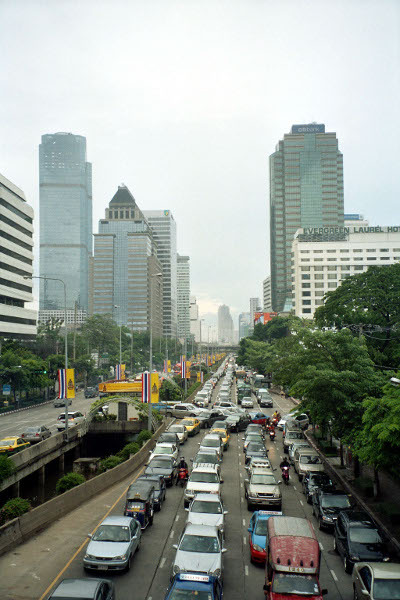 Bangkok legendar traffic jams! 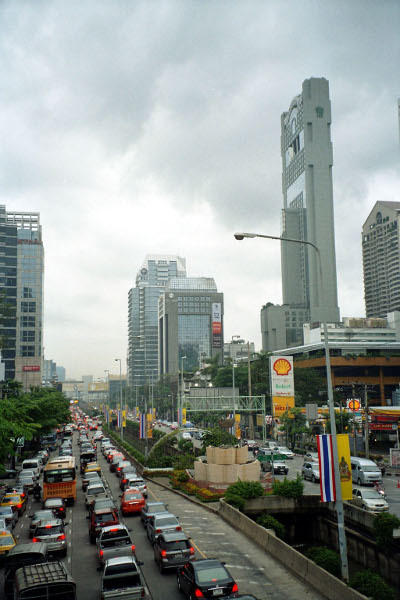 Canon Prima Super 105 Thanon Sathorn. 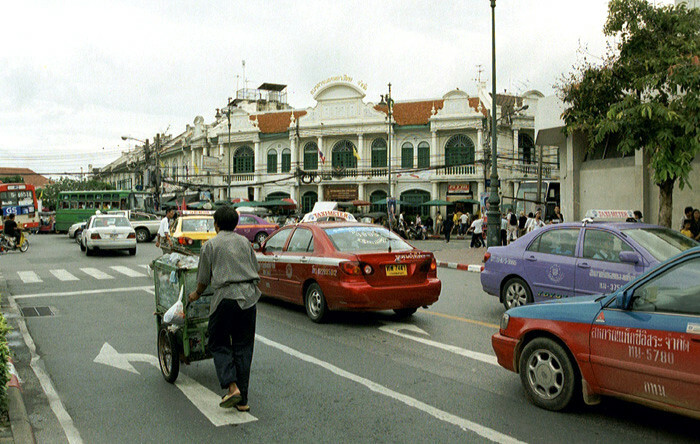 This street is parallel with Silom and Surawong streets. Together they are often referred to as the 3 "S". 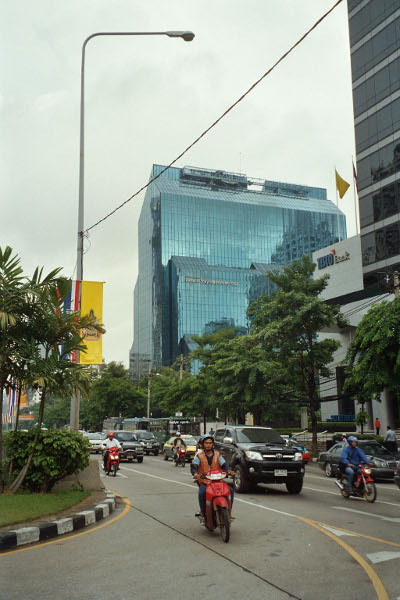 It crosses Rama IV street at Lumphini's corner (Underground station). Canon Prima Super 105 Banyan Tree hotel on Sathorn street. On the top of the building there is a restaurant where delicious cocktails can be tasted. The view from there is just amazing: you can see all of Bangkok. 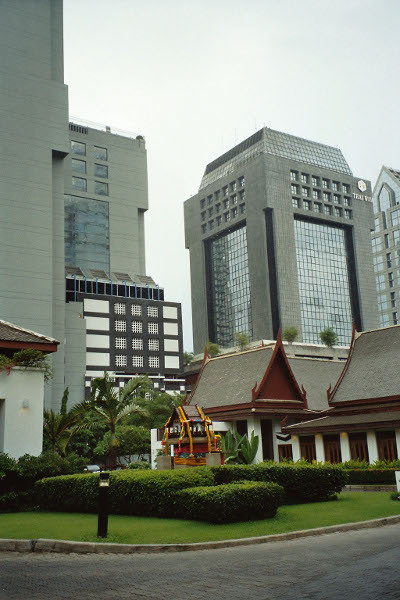 Canon Prima Super 105 Sukkhothai Hotel on Sathorn Street. Canon Prima Super 105 Bikes, cars and international bank (the big glass-building on the back). Nikon F50, lens 28/80mm Near the Grand Palace.